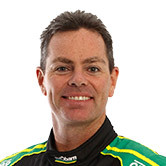 Craig Lowndes says entering the garages of former Supercars rivals seeking information during race weekends has been "the weird part" of his new broadcasting role. After 22 seasons of full-time competition, Lowndes steps back to PIRTEK Enduro Cup duties in 2019 with Jamie Whincup and the Red Bull Holden Racing Team. 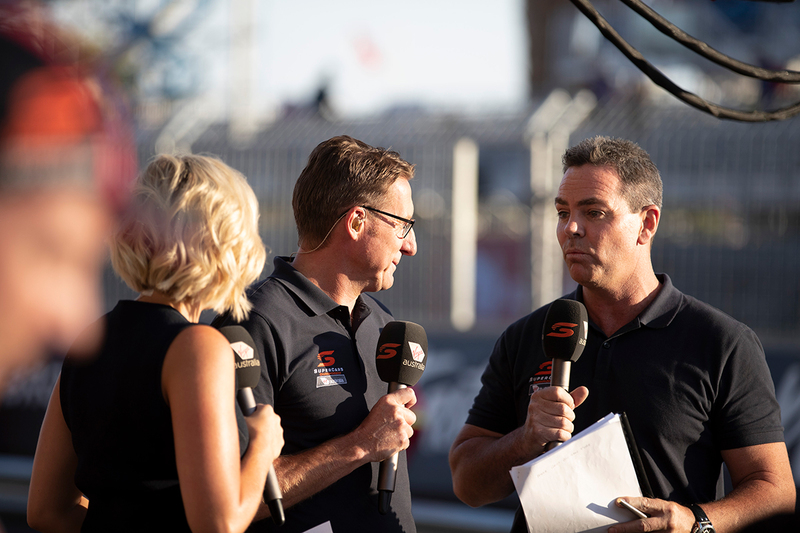 The three-time champion has also joined the Fox Sports team, anchoring Supercars coverage with Jess Yates and Mark Skaife. It comes with a shift in focus from his own performance to documenting the weekends of 24 drivers and 11 teams, and covering new ground up and down pitlane. "That's probably the weird part for me, walking into other peoples' garages and finding out information," Lowndes told Supercars.com. "Being in different teams at different times, it's still for me a little bit foreign because I'm still relatively fresh out of driving and all you had to do was focus on your own car and your own set-up. "But now it's walking up and down pitlane and understanding 24 cars. That side of it is a little bit foreign for me at the moment. "And I don't want to disrespect other teams. I try to be very polite, asking for the information I need and getting out and not just hanging around. "It is a different world but that's part of the process. I need to understand what's going on, talking to drivers, finding out what issues they've got so I can report on it. "It's no different to what Mark does, but that side of it is very different and a bit foreign for me at the moment, but I'm getting used to it. "And talking to other drivers as a commentator, I think even Scotty McLaughlin found it a bit bizarre to start with, talking to me on issues that he has with the car and what he's facing, instead of seeing me as a competitor. "I think it's two sides to it. Other drivers have found it a bit foreign and I'm finding it the same way." Lowndes will return to the familiarity of the Triple Eight garage at the Tyrepower Tasmania SuperSprint and turn his first Supercars laps of the year. They will come in a 30-minute Friday practice session for co-drivers at Symmons Plains, where Lowndes won last year. From his Adelaide and Albert Park experience, Lowndes says the broadcasting weekends are no less busy than those behind the wheel. "You're always running around, getting information from all of the different teams, which is something that Jess and Mark have been very forthcoming on, and keeping up to date," Lowndes added. "The actual weekends are no less busy than what I've had, but not driving a car is different, with the pressures of that side of it. "I've enjoyed it, I've enjoyed the role of understanding and learning 24 cars and their stats and their figures. "Then talking about qualifying or going into a race to seeing teams having issues, who's under-performing, who's over-performing, like Todd Hazelwood did at Adelaide. "It is a different world but I've thoroughly enjoyed it."